The Co-op is pleased to offer a one (1) year subscription offer to IXL Online, including Math, Language Arts, Science and Social Studies Practice Programs from IXL Learning, a leader in online practice for grades Pre-K-12. Note: We are sorry! IXL Science and IXL Social Studies are only available in US Edition Only! Comprehensive coverage of Pre-K-12 math curriculum, hundreds of English language arts skills for grades Pre-K-12, hundreds of Science & Social Studies skills for grades 2-8, and Spanish fluency skills for grades 6-12. 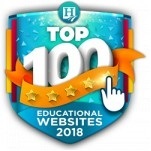 As our many member rave reviews testify, IXL Learning "makes practice fun" with a comprehensive, online subscription that offers virtually unlimited math and language arts practice in a way that both challenges and motivates kids. Visit the IXL Learning website for more information. Read the many member testimonials. We get new ones almost every day! Check out the many sample questions for math and language arts. 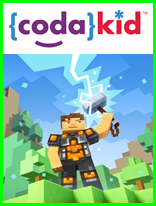 Fulfillment: Within an hour of receiving your order, the Co-op will ask IXL Online to set up a subscription for you. Please allow 5 business days for IXL Online to set up your subscription in their system. When they have done so, they will send you an email with your final username, a link to set up your password, and "Getting Started" instructions. If you don't get that email within five (5) business days, please check your spam or junk folder before contacting IXL Online for help. Please do not contact the Co-op; we'll simply refer you to IXL Online since they are the ones who will be able to help you. Shipping: No shipping charges apply for online programs. Returns/Cancellations: In order to bring you these great prices, we cannot accept returns. NEW: IXL Core Subjects Subscription for a New Subscriber - BEST VALUE! You are NOT currently subscribed to IXL Math or IXL Language Arts. You can purchase a subscription for up to 5 students, includes 1 parent account, and will be charged for the number of students you enter based on the pricing below. Math for Grades PreK-12: IXL is constantly adding new skills for pre-kindergarten through high school! Same great IXL Math, but with even more ways for students to practice math. From exciting and interactive to rigorous and cognitively demanding, IXL skills cover it all! 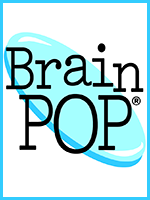 Language Arts for Grades Pre-K-12: Unlock the world of words with fun, interactive practice problems in thousands of skills. Your students will see their reading and writing abilities soar as they correct grammar and usage errors, interact with engaging texts, and determine the meanings of new words in a variety of contexts. Science for Grades 2-8: Inspire your students to become scientists, engineers, and doctors with IXL Science. Students will learn about the world around them through engaging content aligned to state and Next Generation Science Standards. Interactive skills covering everything from plant life cycles to fossils and properties of matter will foster students' curiosity and build a lifelong love of science. Social Studies for Grades 2-8: IXL Social Studies offers a new and exciting way for students to learn about history, civics, geography, and more. They'll develop critical thinking skills as they study the causes of the American Revolution, analyze maps, and learn about cultures. Get ready to see students gain a deep understanding of history, as well as learn how to be great citizens! NOTE: Science and Social Studies is available in the US edition only! Enter the number of students in the quantity field above. You will be charged for the number of students you enter based on the pricing below. Enter your requested username and password in the spaces below. You want IXL Math only. If you want IXL Language Arts also, you should order "IXL IXL Math & Language Arts Combo for a New Subscriber," located below on this order form. Enter the number of students in the quantity field above. You can purchase a subscription for up to 5 students, includes 1 parent account, and will be charged for the number of students you enter based on the pricing below. You want IXL Language Arts only. If you want IXL Math also, you should order "IXL IXL Math & Language Arts Combo for a New Subscriber," located below on this order form. You do not have a current IXL subscription for Math, Language Arts (or both), Science and/or Social Studies. You want IXL Spanish only. If you want IXL Math, Language Arts, or the Core Subjects, see the other products "New Subscriber," located below on this order form. If you are a "New Subscriber" and purchasing Core Subjects, Math or Language Arts, and wish to add Spanish to your new subscription, please order the IXL Spanish for a Current Subscriber below. IXL's Spanish course for grades 6-12 lays the foundations for Spanish fluency and prepares students to communicate confidently with interactive questions, engaging audio, and real-world narratives. If you are a new subscriber and purchasing Core Subjects, Math or Language Arts, and wish to add Spanish to your new subscription, please order the IXL Spanish for a Current Subscriber below. You do not have a current IXL subscription for Math or Language Arts. If you already have IXL Math and Language Arts and want to renew, you should select "IXL Math & Language Arts Combo Renewal for a Current Subscriber" lower on this order form. 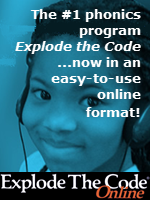 You want to add 365 days to your existing "IXL Math and/or Language Arts" or "Core Subjects" subscription. 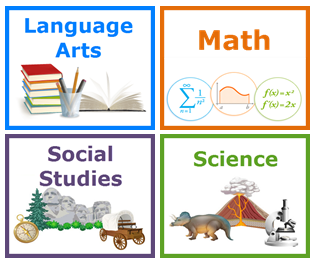 IXL's Core Subjects Subscription includes access to all (4) four courses: Math, Language Arts, Science, and Social Studies. IMPORTANT: IXL asks that members renew their current subscription no earlier than 30 days before their current expiration date. If your current expiration date is not within 30 days, they will not honor your renewal and your renewal order will be canceled. Example, if your subscription ends on March 20th, you can place a renewal order as early as February 21st but not before. You currently have an IXL Math subscription, and you want to add 365 days to your current IXL Math subscription. Enter your username in the space below. You currently have an IXL Language Arts subscription, and you want to add 365 days to your current IXL Language Arts subscription. You currently have an IXL Spanish subscription, and you want to add 365 days to your current IXL Spanish subscription. You want to add 365 days to your combined subscription for both IXL Math AND Language Arts. You understand that ALL students in the your account have access to whatever subject(s) have been purchased for your account. IMPORTANT: The newly added student(s) will have access to the IXL curriculum for the duration of your current IXL subscription. The Co-op is unable to pro-rate the cost of adding Language Arts to your subscription. If you have fewer than nine (9) months left on your current IXL subscription, it would be financially better for you to order directly from IXL, as they are able to offer you a pro-rata price. For example, if you have half a year remaining on your IXL Math subscription, IXL will give you a new student for 1/2 off the regular price. Enter the total number of students you want to add in the "Qty" space above, up to a maximum of 5 total from this and previous orders. You will be charged for the number of students you enter based on the pricing above. Enter your Current IXL Username in the field below. You are currently subscribed to IXL Language Arts and/or IXL Spanish. You can purchase a subscription for up to 5 students, includes 1 parent account, and will be charged for the number of students you enter based on the pricing below. 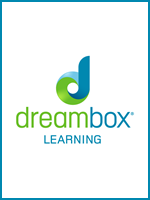 IXL Math for Grades PreK-12: IXL is constantly adding new skills for pre-kindergarten through high school! From exciting and interactive to rigorous and cognitively demanding, IXL skills cover it all! Enter your current username and password in the spaces below. You want to add IXL Language Arts to your current subscription(s). IMPORTANT: You will have Language Arts for the duration of your current IXL subscription. The Co-op is unable to pro-rate the cost of adding Language Arts to your subscription. If you have fewer than nine (9) months left on your current IXL subscription, it would be financially better for you to order directly from IXL, as they are able to offer you a pro-rata price. For example, if you have half a year remaining on your IXL Math subscription, IXL will give you Language Arts for 1/2 off the regular price. Enter a "1" in the "Qty" space above. This will give you Language Arts for ALL the students in your IXL account. You want to add IXL Spanish to your current subscription(s). IMPORTANT: You will have Spanish for the duration of your current IXL subscription. The Co-op is unable to pro-rate the cost of adding Spanish to your subscription. If you have fewer than nine (9) months left on your current IXL subscription, it would be financially better for you to order directly from IXL, as they are able to offer you a pro-rata price. For example, if you have half a year remaining on your IXL Math subscription, IXL will give you Spanish for 1/2 off the regular price. Enter a "1" in the "Qty" space above. This will give you Spanish for ALL the students in your IXL account. IMPORTANT: You will have either IXL Math or IXL Language Arts, Science, and Social Studies for the duration of your current IXL subscription. The Co-op is unable to pro-rate the cost of upgrading your 1 subject to the Core Subjects Subscription. If you have fewer than nine (9) months left on your current IXL subscription, it would be financially better for you to order directly from IXL, as they are able to offer you a pro-rata price. For example, if you have half a year remaining on your IXL Math or IXL Language Arts subscription, IXL will give you the Core Subjects subscription for 1/2 off the regular price. Enter a "1" in the "Qty" space above. 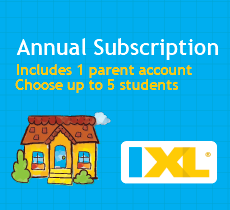 This will give you a Core Subjects Subscription for ALL the students in your IXL account. IMPORTANT: You will have IXL Science, and Social Studies for the duration of your current IXL subscription. The Co-op is unable to pro-rate the cost of upgrading your 1 subject to the Core Subjects Subscription. If you have fewer than nine (9) months left on your current IXL subscription, it would be financially better for you to order directly from IXL, as they are able to offer you a pro-rata price. For example, if you have half a year remaining on your IXL Math or IXL Language Arts subscription, IXL will give you the Core Subjects subscription for 1/2 off the regular price.